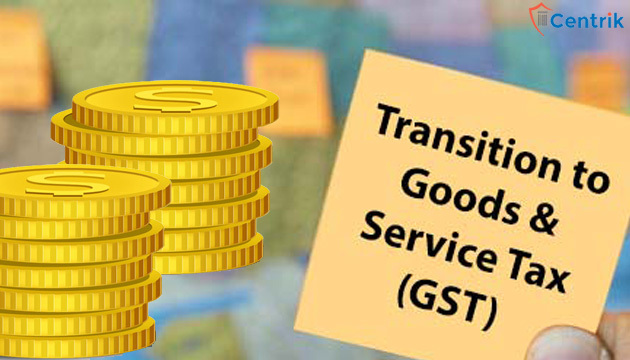 During the transitional period, the taxpayer will either allowed to take set-off benefits or reverse the input tax credits depends upon the transactional circumstances. The provisions of Chapter XVII model CGST Act provides treatment of credits under different business situations. This chapter also provides the procedure to follow by the Tax Payers to take such credits. The correct understanding of the Chapter XVII is very important from the planning and implementation point of view of GST. A registered taxable person shall be entitled to carried forwarded cenvat credit pertaining to the period immediately preceding the appointed day. The taxpayer person shall be entitled to carry forward such CENVAT credit only if it fulfill all three following conditions, only then it will be entitled to take such credit to its electronic credit ledger. A registered taxable person shall be entitled to carried forwarded vat credit or Entry Tax Credit pertaining to the period immediately preceding the appointed day. A registered taxable person shall be entitled to carry forwarded vat Credit or Entry Tax Credit pertaining to the period immediately preceding the appointed day. The taxpayer person shall be entitled to carry forward such VAT Credit or Entry Tax only if it fulfill all three following conditions, only then it will be entitled to take such credit to its electronic credit ledger. Any claims pertaining to credits under Central Sales Tax will not available under GST, after substantiate of such credits shall be refunded under CST Act only. Vineet Sahay is a qualified Company Secretary, currently working in Company Secretary Firm as Senior Team Member. Disclaimer: The entire content of this document is author’s own interpretation & personal view. This is only knowledge sharing initiative and author doesn’t intend to solicit any business or profession. Further, this write-up is prepared only to show the broad aspect of CS profession and not a comparison of the same with other professions.